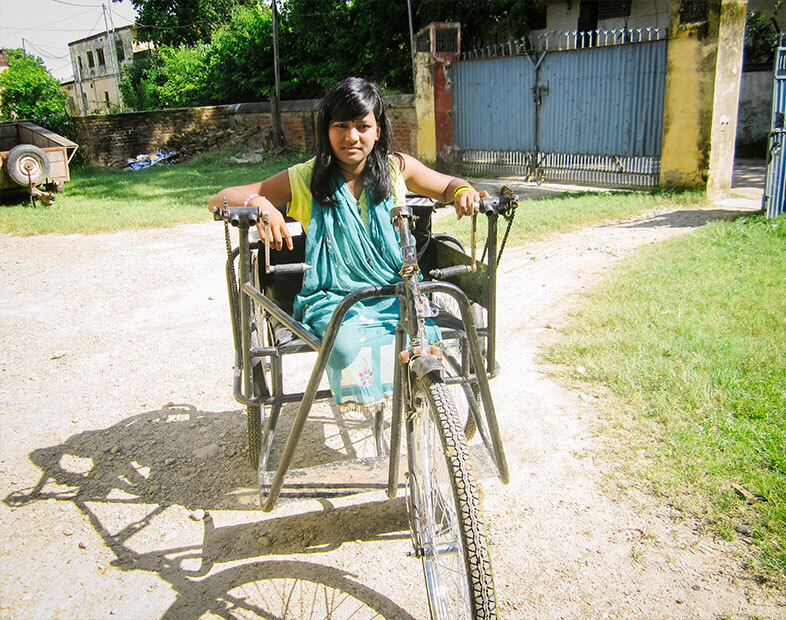 In Nepal, people with disabilities are often treated as objects of pity. They are often hidden away in shame. 16 year-old Sarita [pictured top and bottom left] entered this world of shame at age two when a tree near her home blew down in a storm causing injuries that required part of both legs to be amputated. From that time, she was only able to move by crawling on the floor, making it very difficult to use the toilet or go to school. Her clothes were never clean and she suffered constant blisters on her hands. This could have been a picture of the rest of her life. INF’s Community Based Rehabilitation [CBR] programme desires to see people with disabilities empowered to take an active part in their society. It does this through assisting people living with disability, as well as educating communities on how to accept and value people living with disability. INF helped Sarita get to the Hospital for the Rehabilitation of Disabled Children [HRDC], which is a long way from her home, and there she was fitted with artificial legs. She is now able to do everyday activities independently, including getting to school where she is in Class 9 on a scholarship. CBR is helping people like Sarita regain control over their lives. 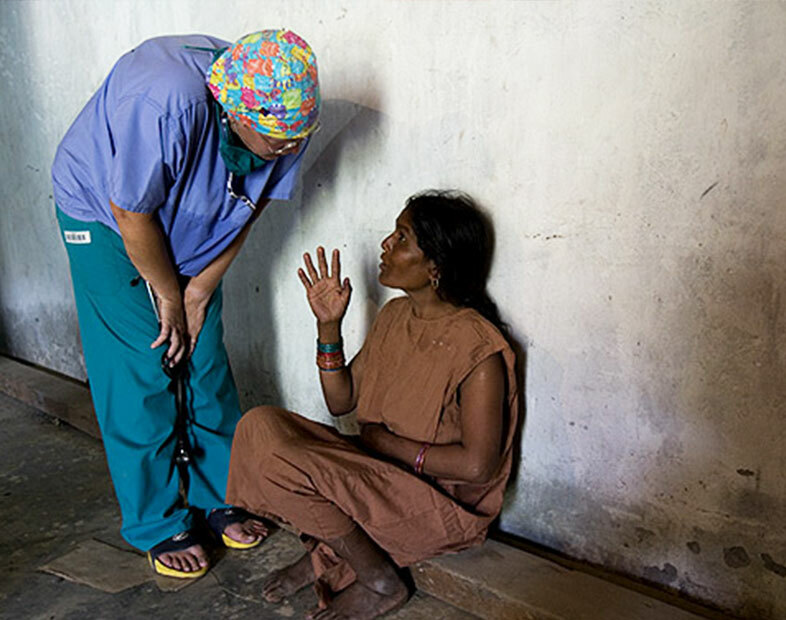 Durga Maya’s life changed dramatically when she fell from a tree. 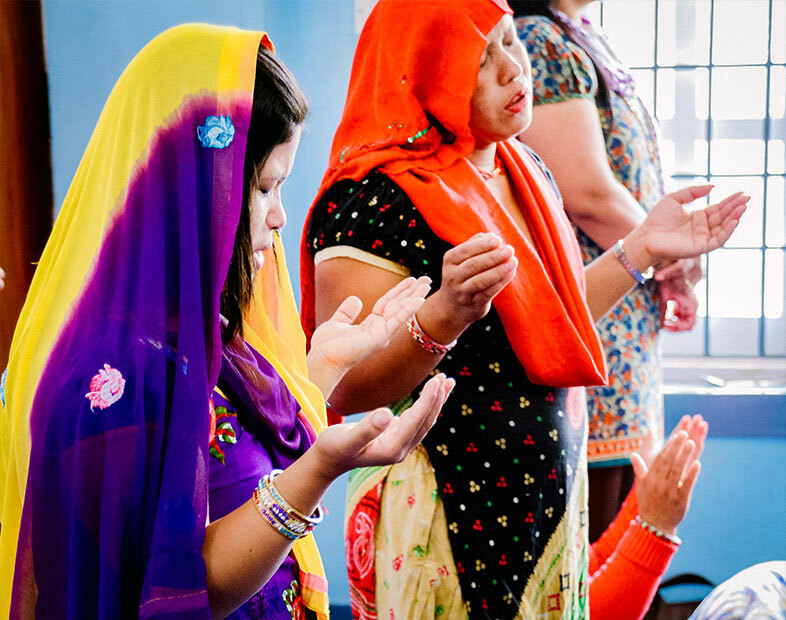 Found, comforted, counselled, and rehabilitated, her story highlights INF’s holistic care.